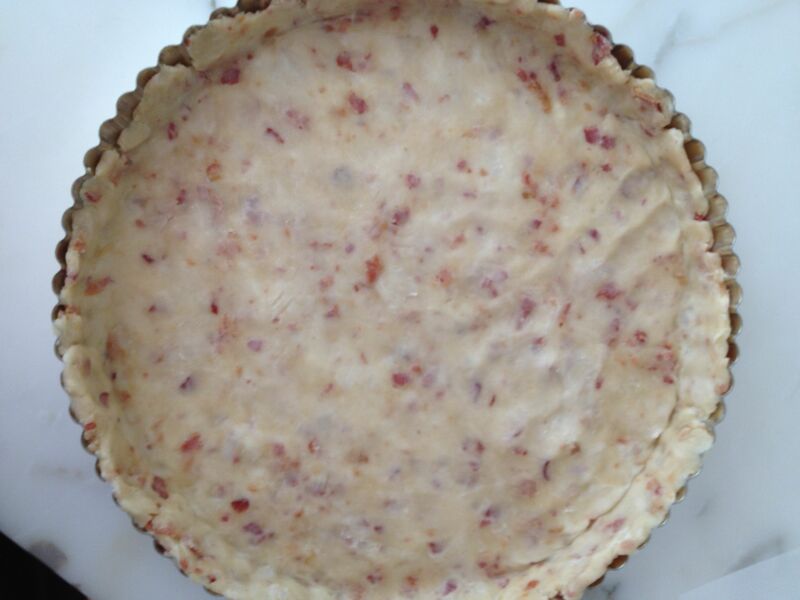 Time-saving option: use a ready-made pie crust and just line the bottom with crumbled bacon, or omit the bacon altogether. 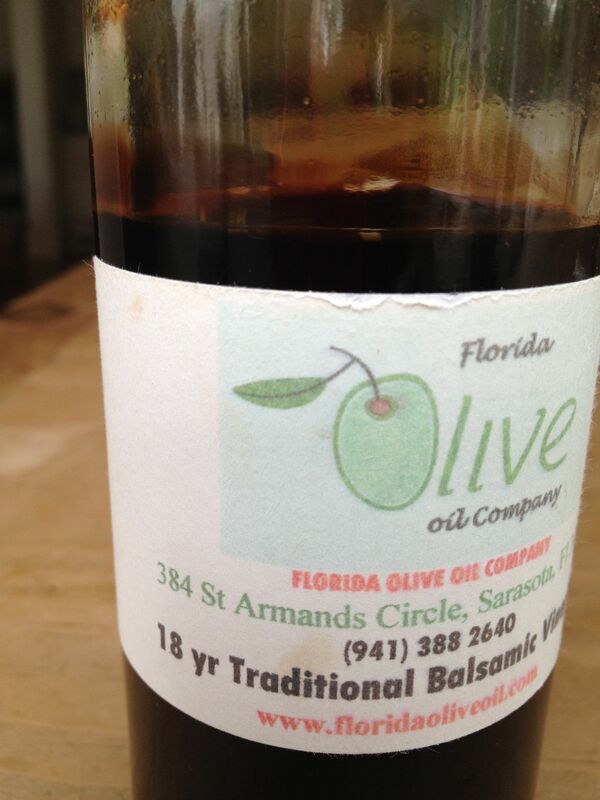 Optional for drizzling: aged balsamic vinegar (the thick, syrupy kind) or regular balsamic vinegar, reduced in a saucepan until thickened. I like the sweet/tart balance this brings to the tart, but serving with a balsamic vinaigrette-tossed green salad would deliver a similar effect. 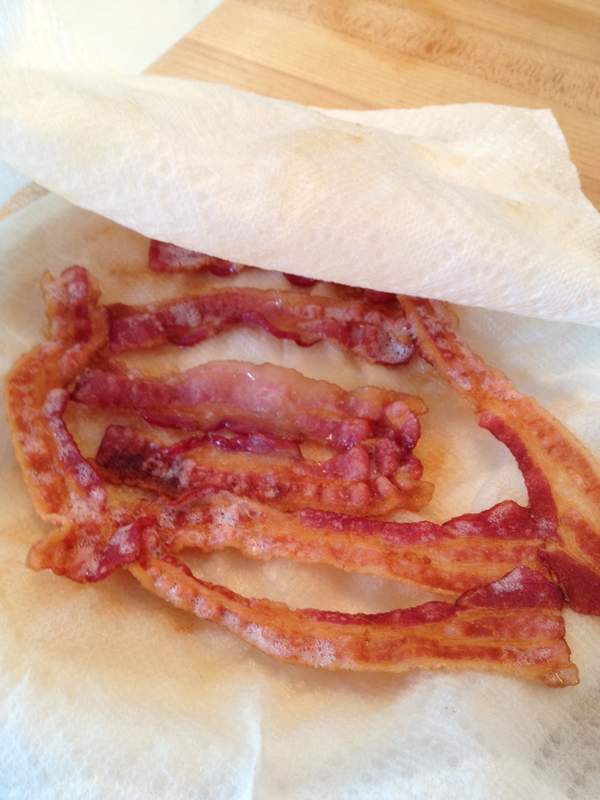 Cook bacon in microwave (approx. 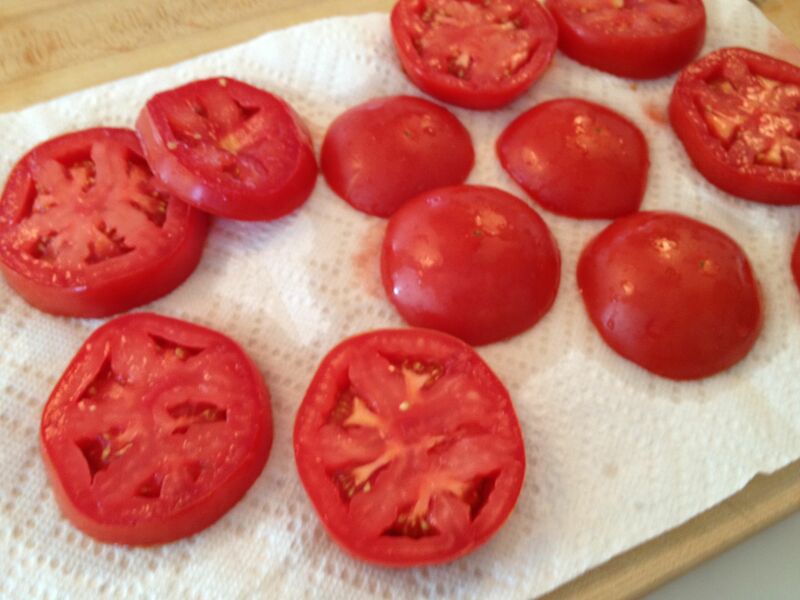 4 minutes for 8 pieces) and crumble, or cut crosswise into 1/2″ pieces and cook in a sauté pan until crisp. 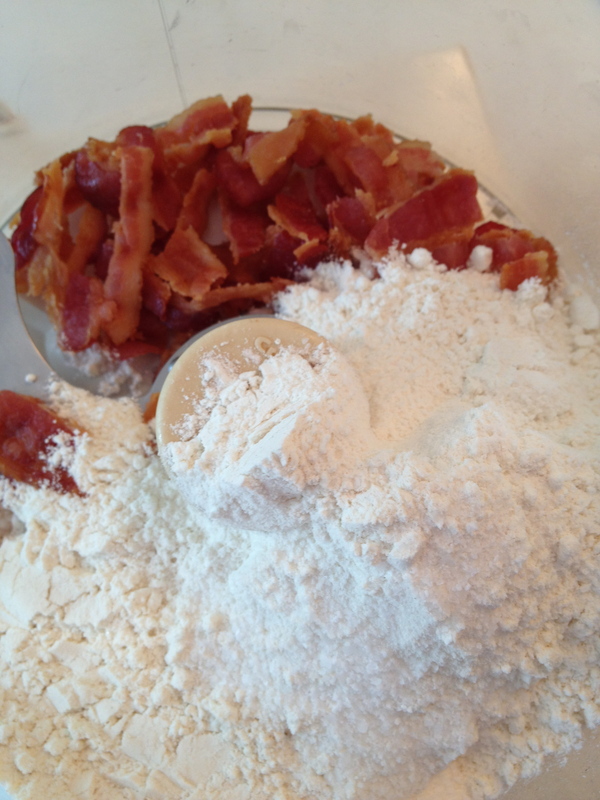 Add the crumbled bacon, flour and salt to a food processor; pulse a few times to combine. 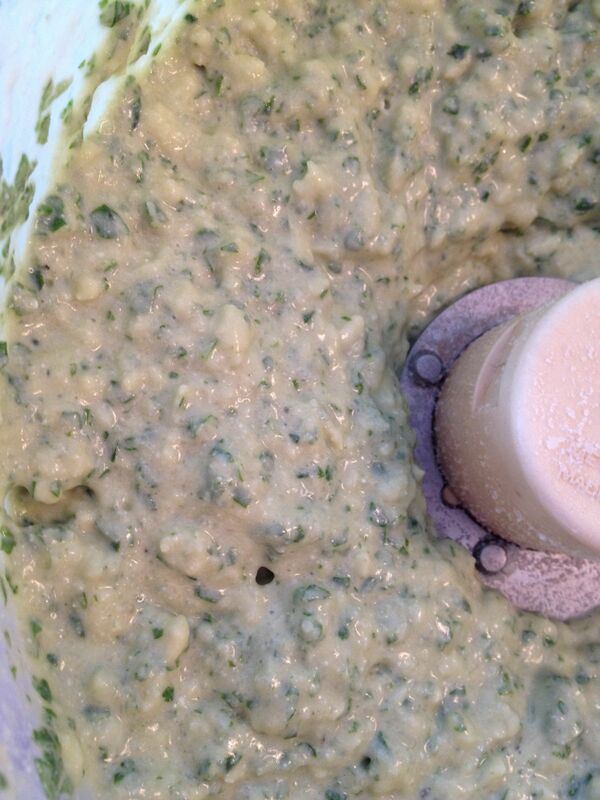 Add the butter pieces and pulse a few times. Add the cold water and pulse a few more times; the dough should come together when pinched. 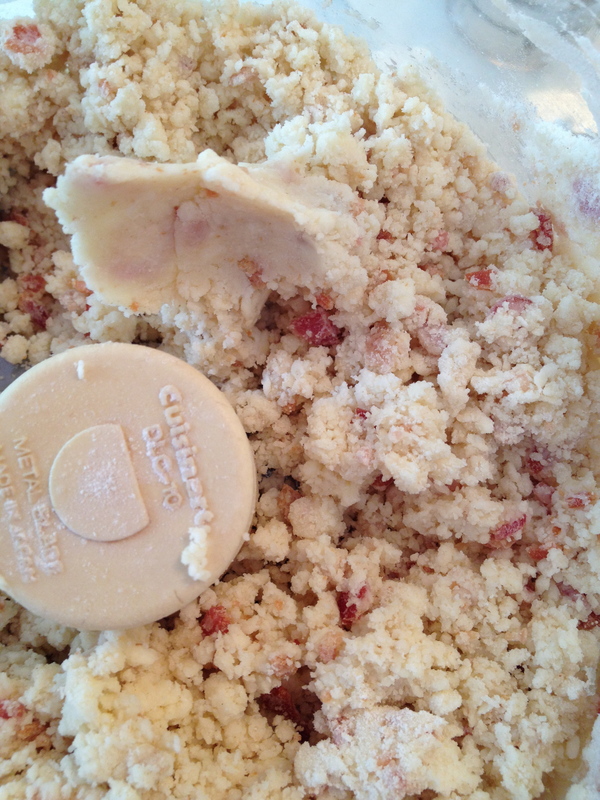 Dump crust mixture onto a large piece of plastic wrap. 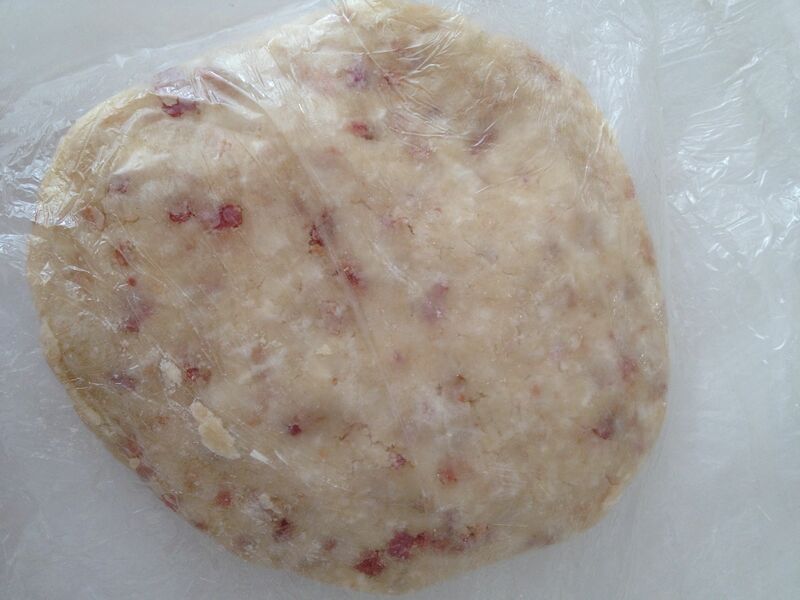 Gather up the sides of the plastic wrap to help form the dough into a disk. (This just helps contain the mess.) 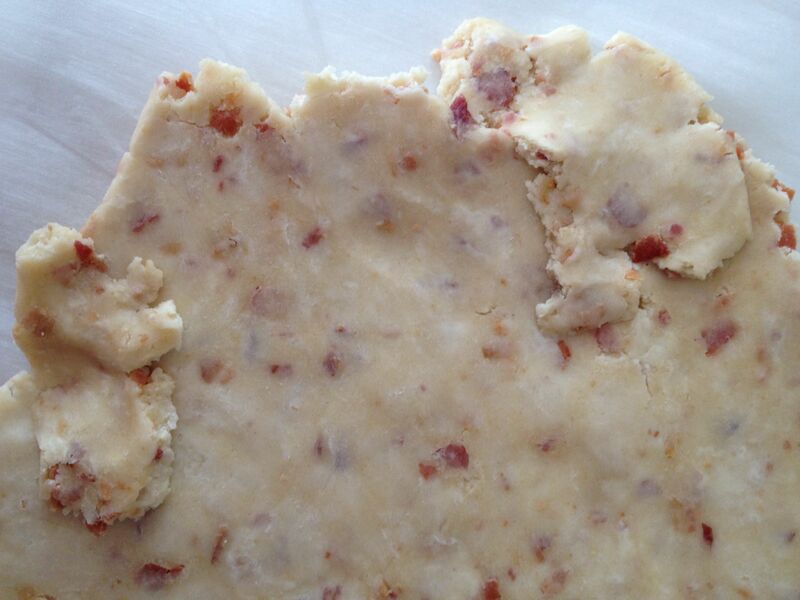 Refrigerate dough for at least an hour, or for up to several days. 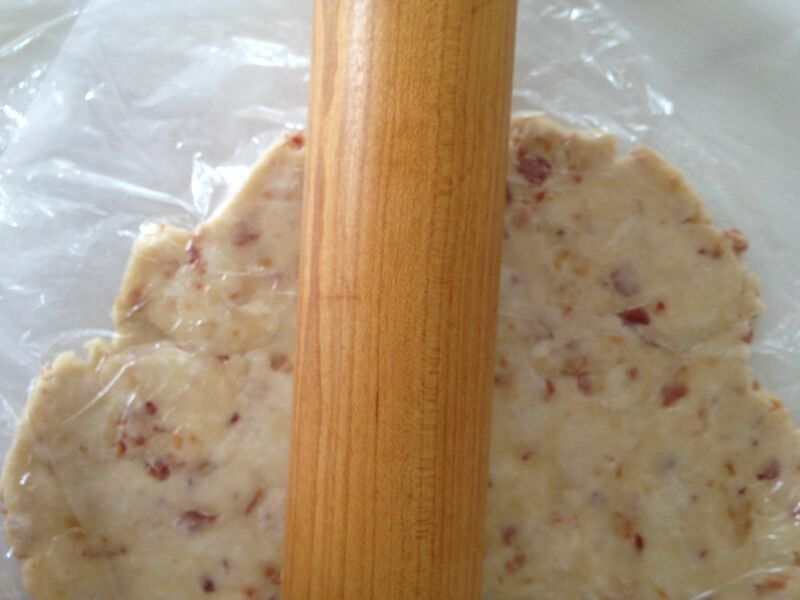 With a piece of parchment paper below the dough and a piece of plastic wrap on top (to prevent sticking), roll out the dough into a circle approximately 12” in diameter and 1/8” thick. 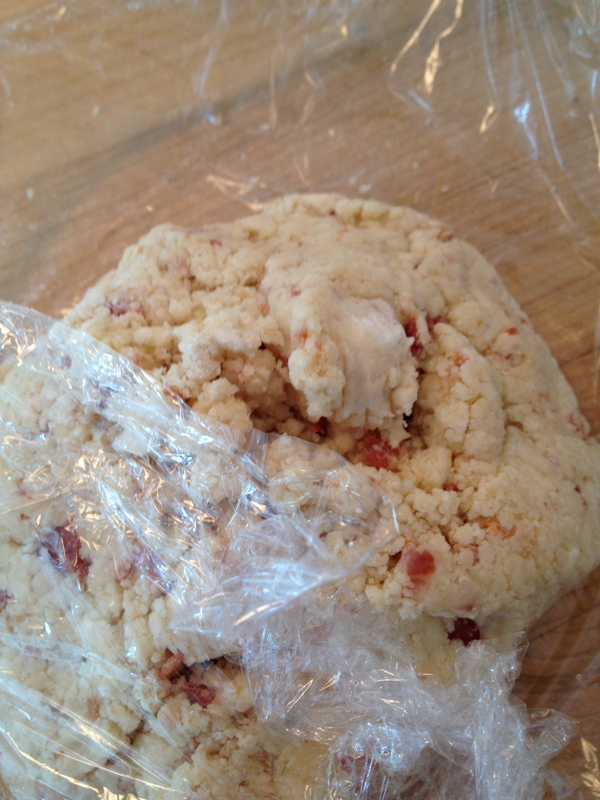 Note: cold dough will crack around the edges. 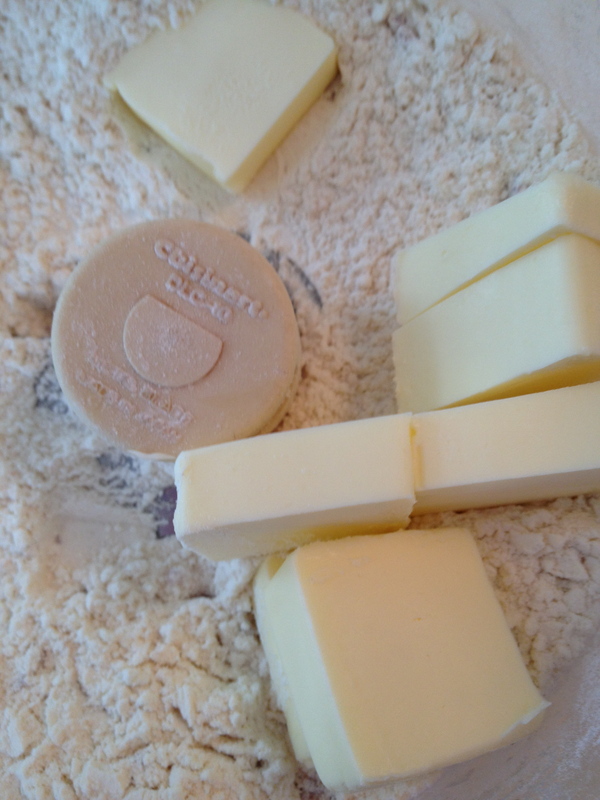 No big deal – just perform a little dough plastic surgery (patch and roll). Heat oven to 375ºF. 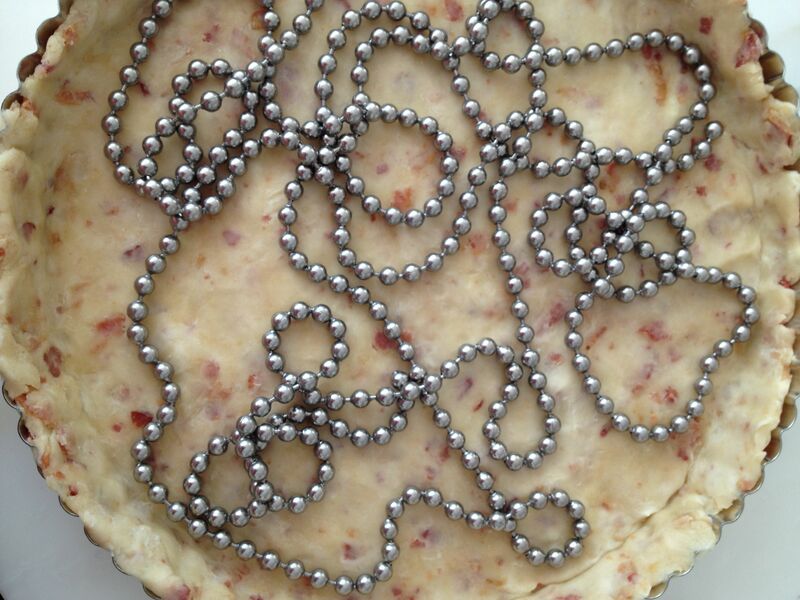 Remove the plastic wrap and transfer the dough to a 9-inch tart pan with removable bottom. 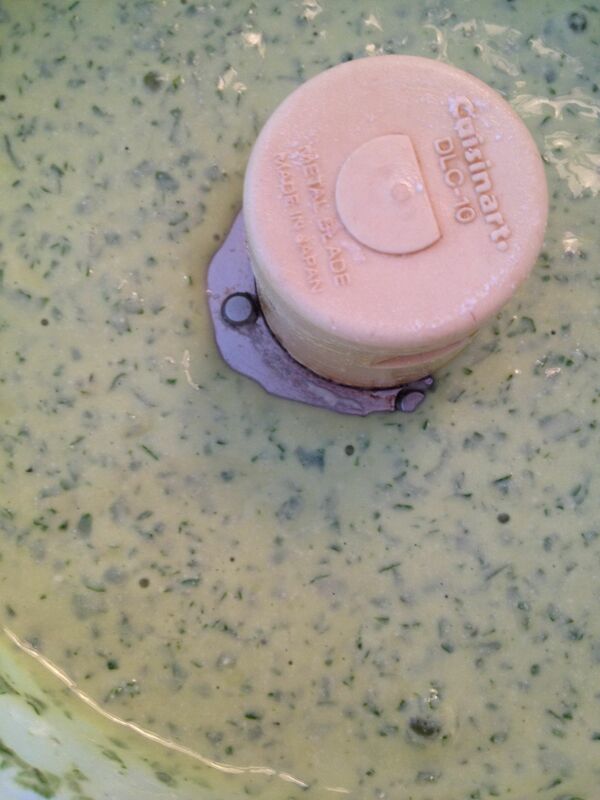 (A regular pie pan works too.) 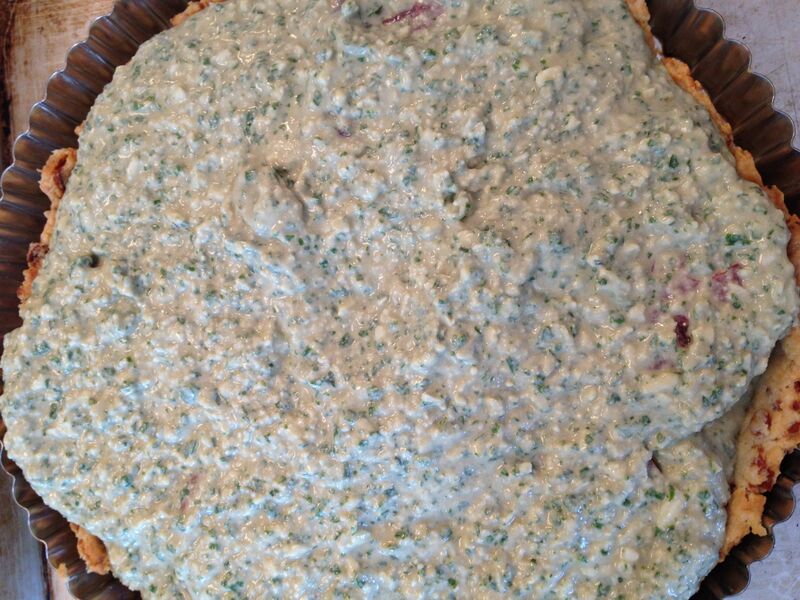 If the dough is too sticky for the parchment to come off easily, just drape it over the tart pan and put the whole thing in the freezer for a few minutes. 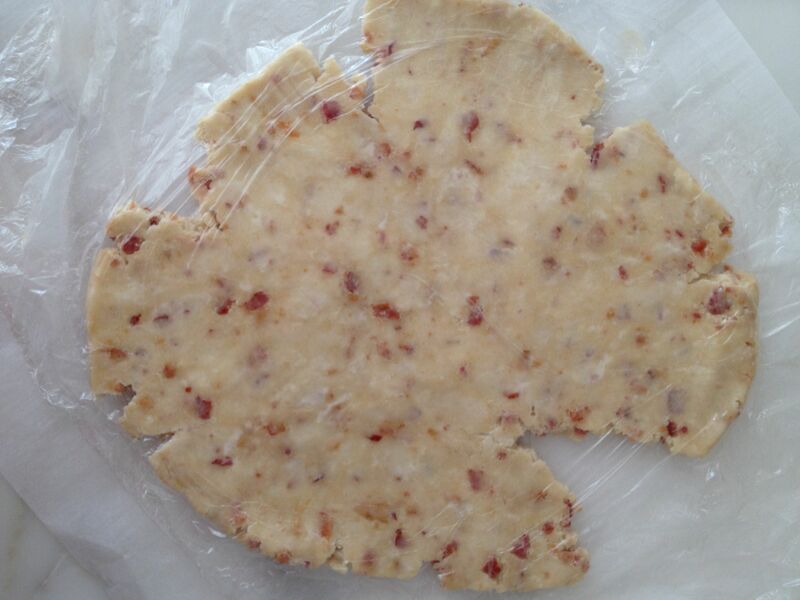 Remove parchment paper and trim any excess dough from the edges. 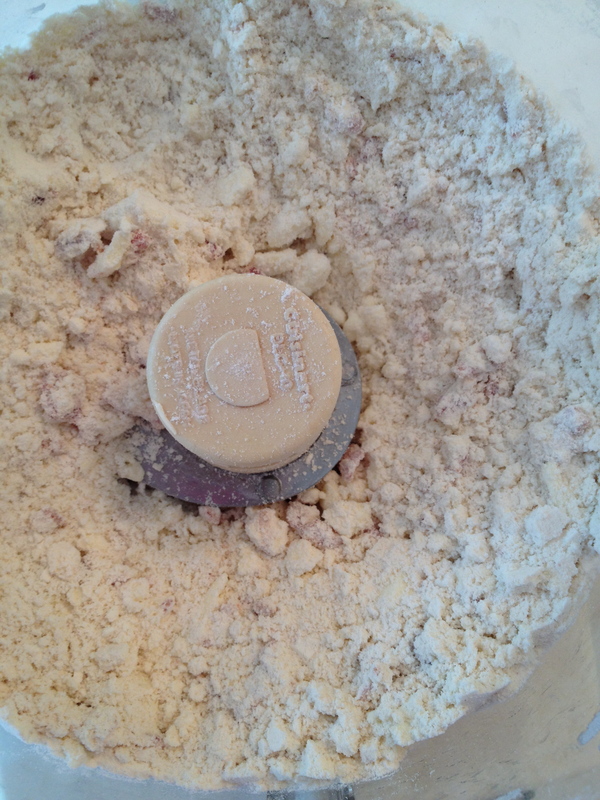 Line the pastry shell with foil and fill with dried beans, rice or pie weights; if you have cool connected pie weights like this (below) you can skip the foil. Bake in the lower third of the oven for 20 minutes. Carefully remove the foil and weights. 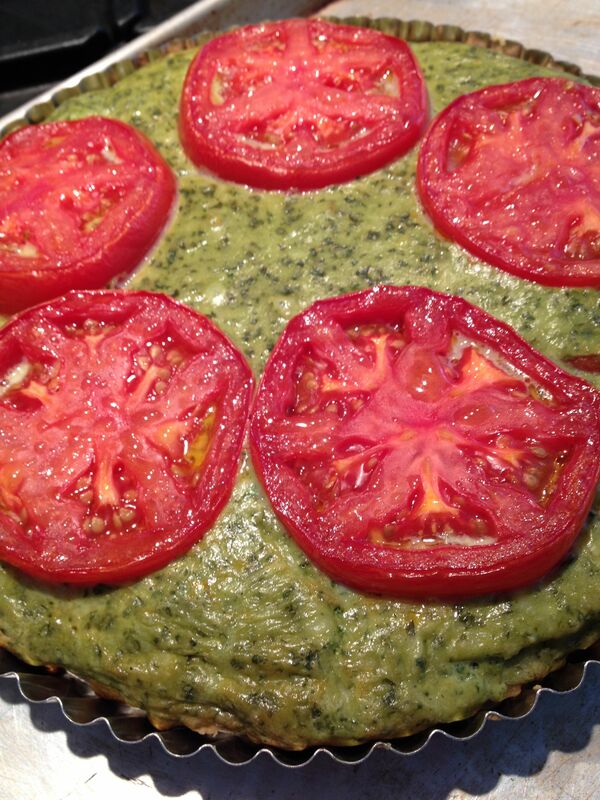 Return tart to oven and bake for 10 minutes more or until lightly golden. Cool in the pan. Turn down oven to 350ºF. 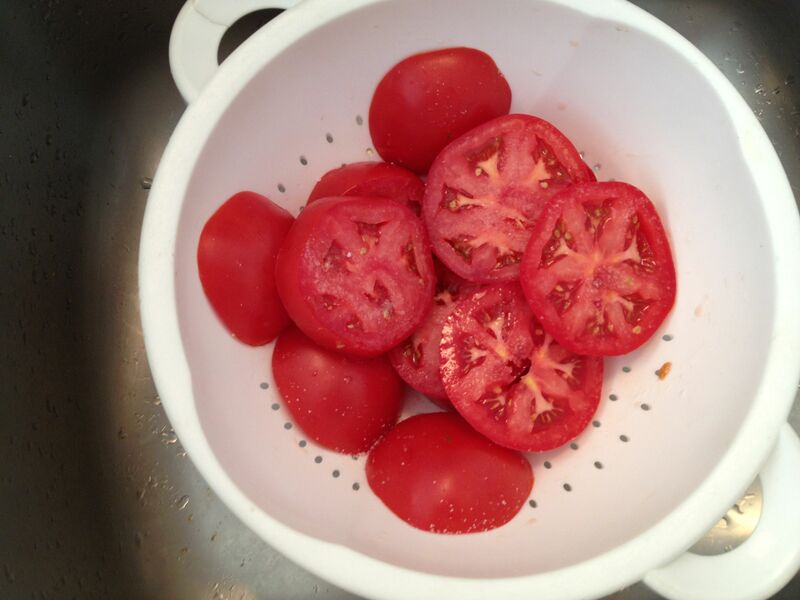 Sprinkle tomato slices on both sides with kosher salt and drain in a colander. 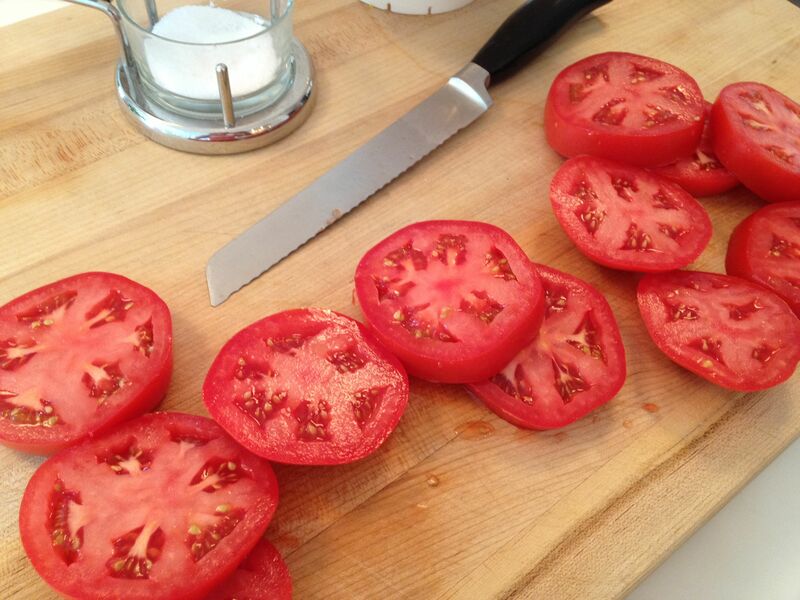 This is a key step – it makes the tomatoes taste better and prevents the filling from getting too watery. 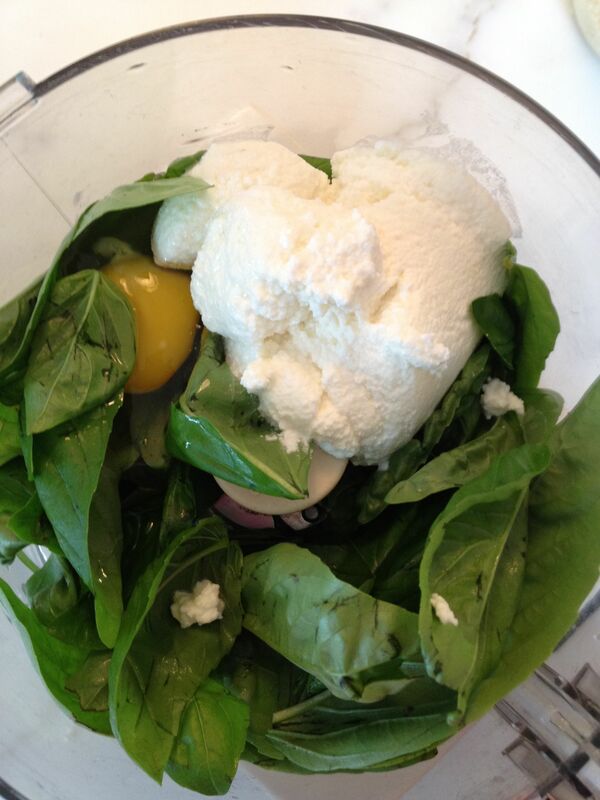 Combine basil leaves, ricotta and eggs in a food processor and process until blended. 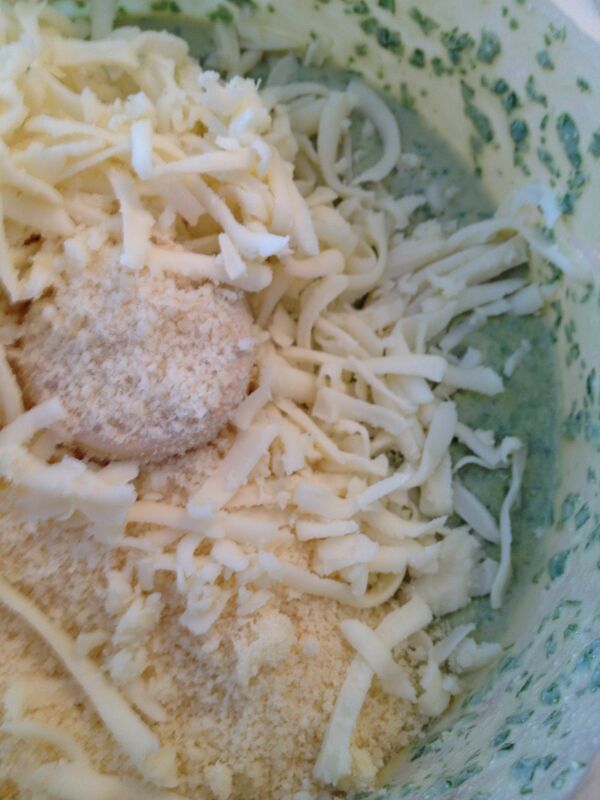 Add the teaspoon of salt, mozzarella, Parmigiano and pepper; process until just combined. 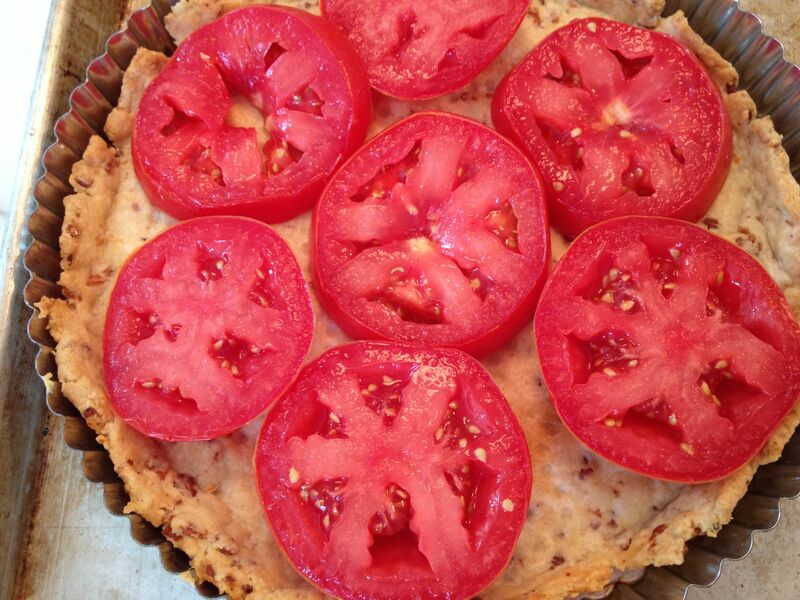 Line the bottom of the baked tart shell with a layer of tomatoes, using the end tomato pieces (round edge facing the crust) and any of the less-attractive slices. 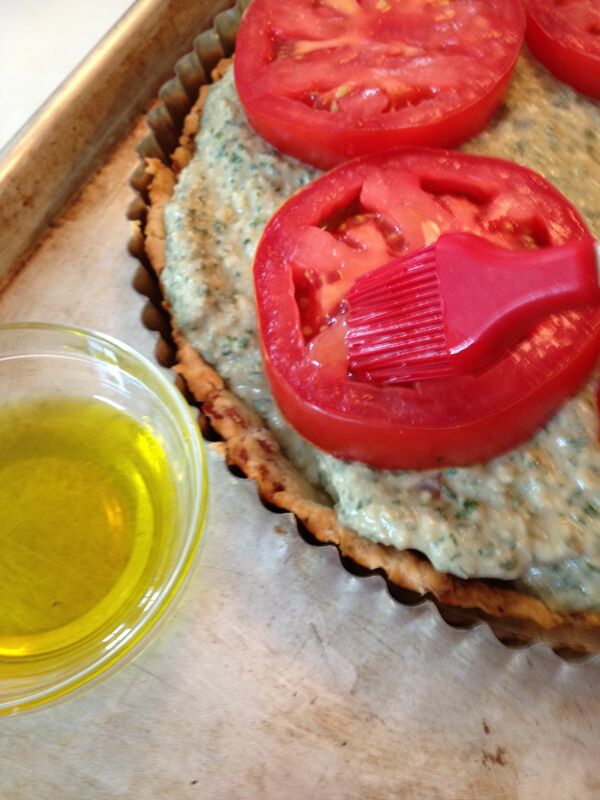 To catch any drips or overflows, place tart pan on a rimmed baking sheet for baking. 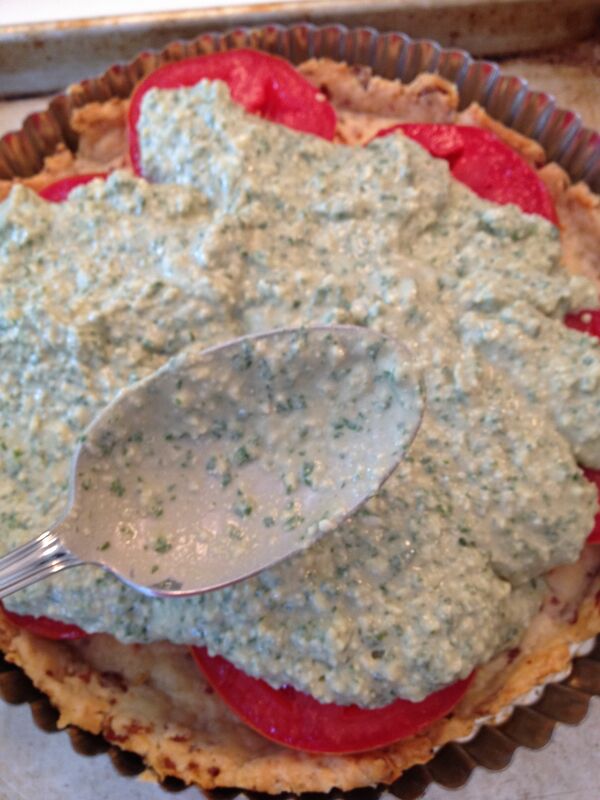 Spoon on the cheese/basil mixture, spreading gently to cover tomato layer. 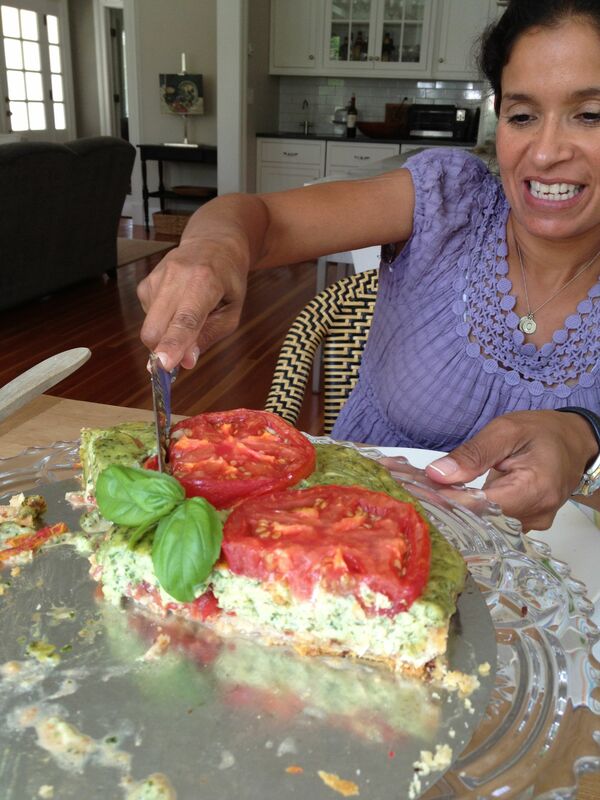 Arrange the remaining tomato slices on top. 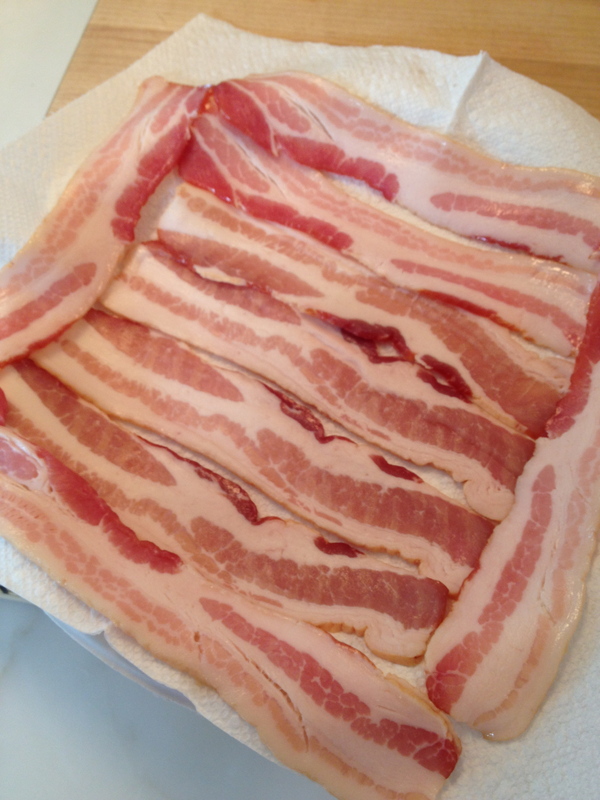 Cool at least 10 minutes before slicing and serving. Can be served hot or at room temperature. 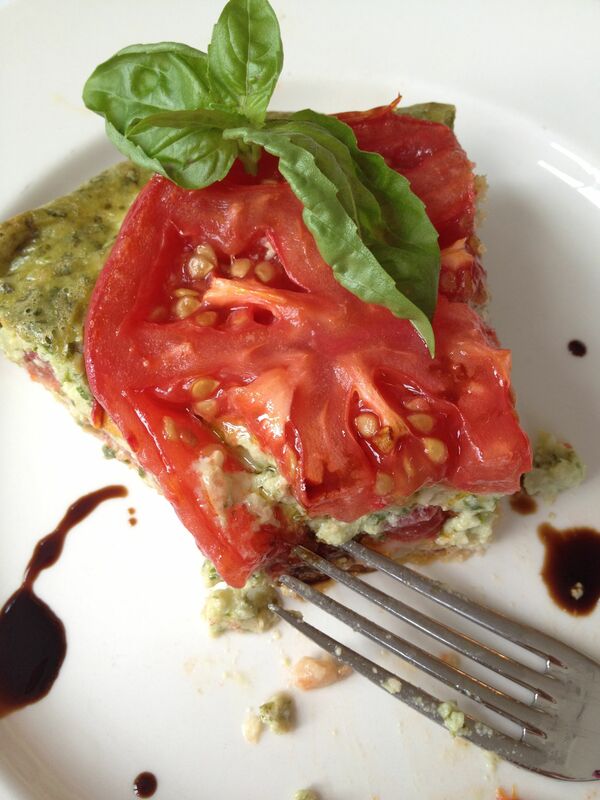 Garnish with basil sprigs and aged balsamic drizzle, if desired. 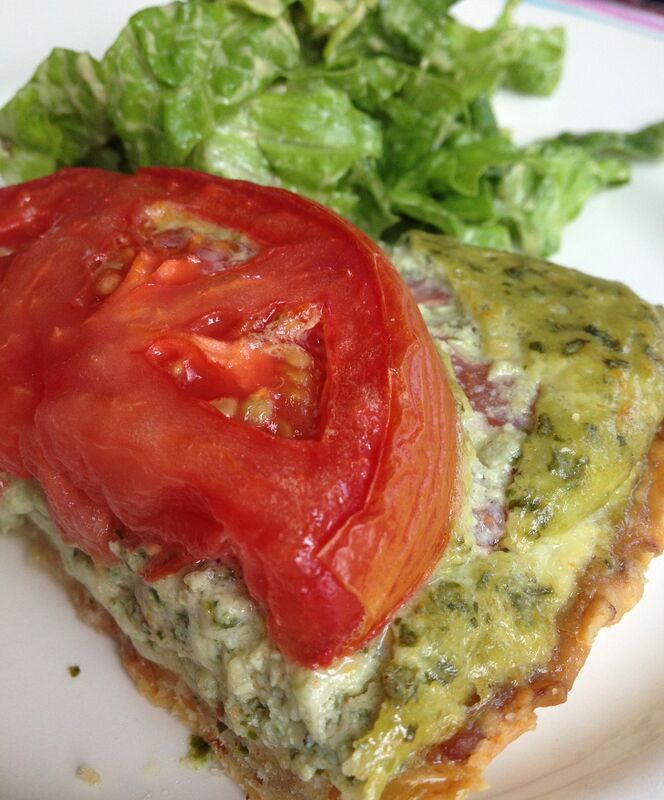 Serve with a simple green salad. 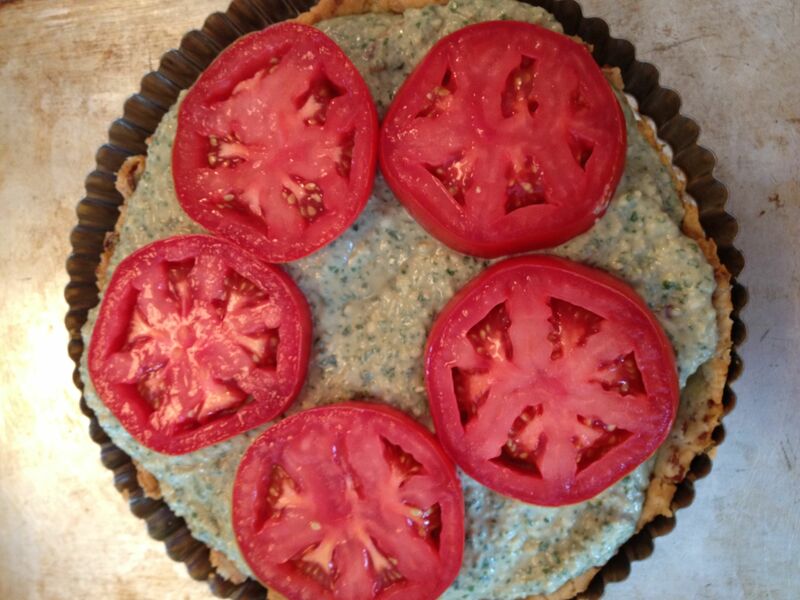 This entry was posted in Brunch, Main Courses and tagged bacon crust, basil, brunch, cheese, tomato basil tart, tomato pie by subeeskitchen. Bookmark the permalink. Wow !! That looks yummy !!! 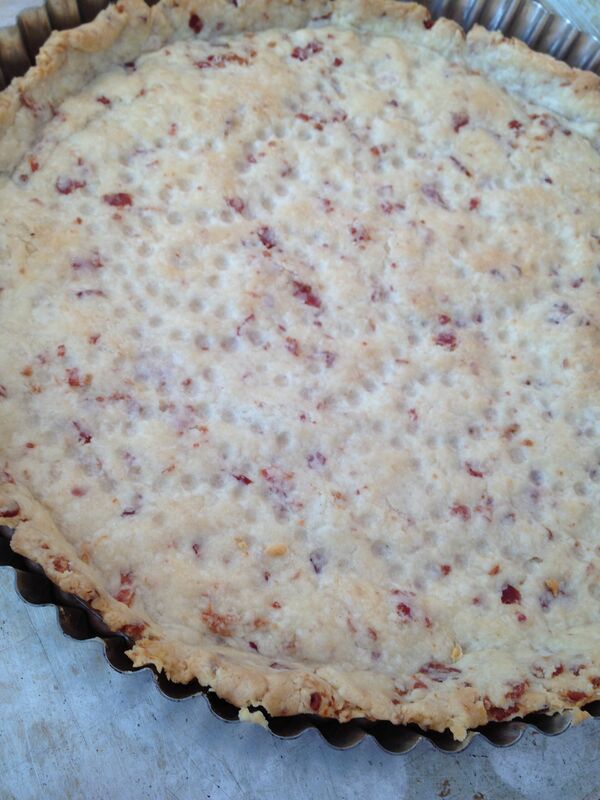 Never heard of Sara Moulton, but she’s a genius for thinking of putting bacon in a pie crust !! I had to force myself to stop buying cook books – even looking at them. I don’t believe I’ve ever opened a single one once it got into my house. In fact, I think I’ve even gotten rid of all of them but a couple of Frenchies that I’d set aside for you (although, that said, not sure what I’ve done with them while awaiting my trip to Subee’s kitchen…merde). 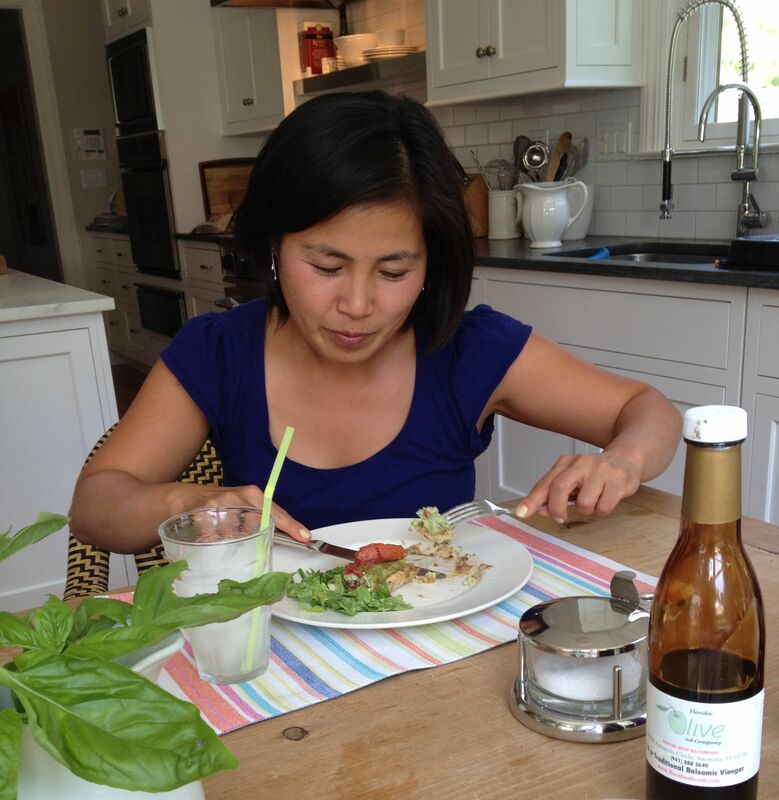 Kudos to Karen too for using her cookbooks – and for, I assume, passing on so much savoir-faire. 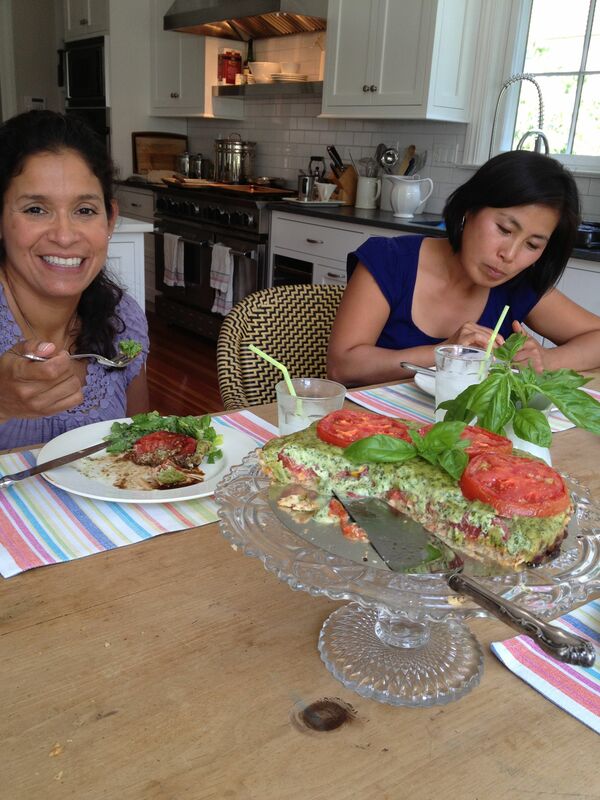 Oh Yum – Can’t wait to make this one, and Yay to Sang and Patty – we’d be lost without you! !